In the following pages a scheme of the subject is developed, which forms a two-year course when two or three hours a week are devoted to the subject. The portions of Physics usually treated under Applied Mechanics and Electricity have been purposely omitted. This is a textbook intended for a one-year introductory course. Algebra and trig are used, and there are optional calculus-based sections. Topics covered: Newtonian physics, conservation laws, vibrations and waves, electricity and magnetism, optics. This is a 1964 physics textbook based upon the lectures given by Feynman to undergraduate students at Caltech. It includes lectures on mathematics, electromagnetism, Newtonian physics, quantum physics, and the relation of physics to other sciences. The physics textbook written for the curious reader. It is surprising, entertaining and challenging on every page. It covers fascinating parts of mechanics, thermodynamics, relativity, electrodynamics, quantum theory and unification theories. 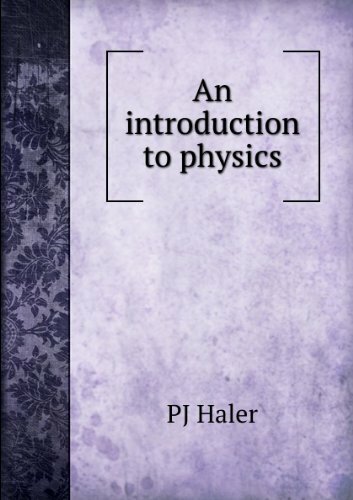 In this booklet I've tried to pick out the bits of your math courses that you will really need to get through your first courses in physics and chemistry. In addition, I give some directions on how to use an inexpensive scientific calculator.